Some of the biggest threats to your home may exist within your walls or under your floorboards. While termites ingest wood as they burrow through it, there are other wood-destroying organisms that bore through wood and threaten the structure of your home. Repairing the damage caused by these pests can cost homeowners thousands of dollars. To make sure your home is safe, add a wood-destroying organism inspection to your home inspection. Metallic wood borers are notorious for hollowing out trees, acorns, and other wood structures. If they find an entry point into your home, they can make a nest in the wood structure of your home. These insects bore out holes in the wood to make their nests. While they do not eat the wood itself, their activities can do enough damage to make your home unstable. Typically, they are found in firewood, log cabins, and the wooden framework of a house. 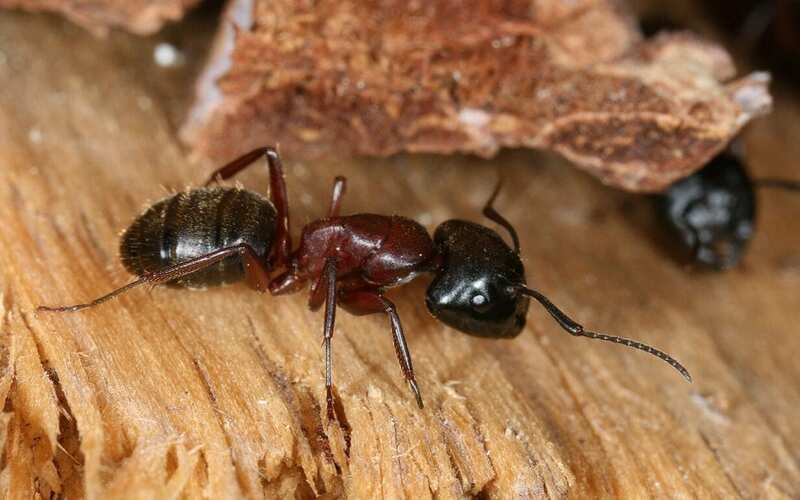 Like metallic wood borers, carpenter ants do not feed on wood. However, they do burrow inside of it, so the wood can become weakened. They are especially attracted to damp areas, so homes in wooded, shady areas are more susceptible to a carpenter ant infestation. Many species of beetles will burrow inside of the wood. These beetles can cause a great deal of damage if the infestation is not handled quickly. While some beetles will mature and leave the wood, others may return and infest the area again, causing even more damage. Similar to beetles, carpenter bees also burrow into the wood to make their nests. They can also cause great damage if left untreated. Even worse, they can attract woodpeckers. If the wood is exposed to the outdoors, the problem could become even worse. While it takes time for carpenter bees to cause any structural damage, the potential is there. If a woodpecker is involved, the damage can escalate quickly. A professional WDO Inspector is trained to recognize all kinds of wood-destroying organisms. If you catch a pest infestation early enough, you can treat the problem before it causes thousands of dollars worth of damage. If you are purchasing a home or have concerns about your own home, schedule an inspection for wood-destroying organisms. Evergreen Property Inspectors provides home inspection services with a wood-destroying organism inspection add-on to the Greater St. Louis area. Contact us to book an inspection.